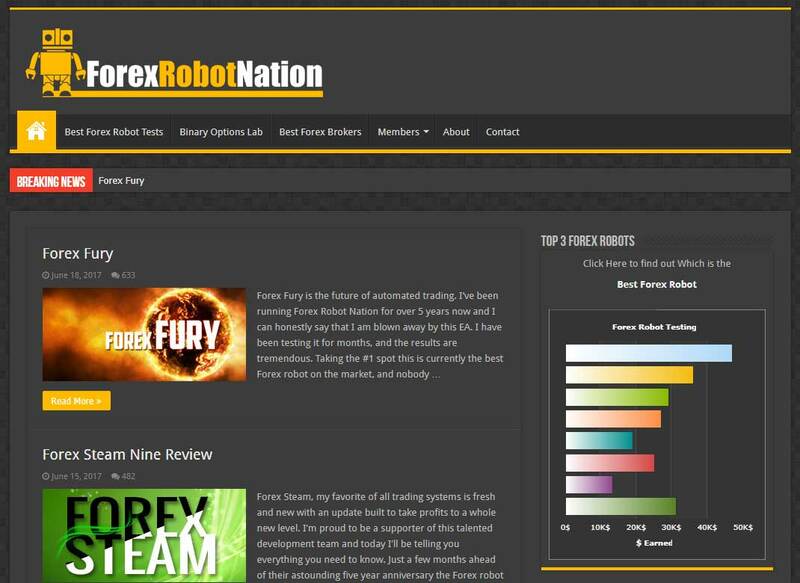 Forex Robot Nation is easily my favorite blog in the Forex market. Today I want to tell you exactly why I feel this way and also give you 3 ways that you can profit big by taking advantage of what the site has to offer. First let me set the stage, the FRN website is dedicated to Forex robot trading, in the Forex product market. When I first started reading the blog it was only expert advisors, but now they review Forex indicators, Forex Mentor programs, Forex brokers, strategies and really anything Forex related at all. You can visit the site on a daily basis and get access to 1-2 new reviews, or just stopped in to read the most recent discussion. Forex isn’t just about knowing how to trade, but also having other traders in your circle that you can trust and rely upon. That’s what this community is all about, and I’m going to walk you through all the best ways to grow your trading accounts at any skill level. So before start, I just want to say that this guide isn’t complex or convoluted in any way. The entire purpose of this lesson is to help you take advantage of the opportunity that’s available for free with this incredible Forex trading resource. This may come across as too simple, but it’s not I assure you. The Forex robot nation community consists of thousands of Forex robot traders. Yes, you can probably find advice on other Forex resource websites, but none are as tight-knit as this one. There’s also no greater collection of Forex Expert Advisor traders anywhere else on the Internet. With that said, you have to take advantage of this resource. I find the most active conversations are always taking place in the reviews of the most highly rated trading systems. As it stands right now, there are two trading systems with frequent discussions ongoing. You can purchase both of these tools for a combined price of less than $400, and have their purchase price paid off by their own automated trades within the first week. The best thing about using these 2 tools, is that the community is constantly testing different strategy and setting variations to find the most optimal setup for the current market conditions. So, just by going to these reviews every couple of days you can pick up tidbits and free settings packages that are already being tested by other traders. I was reading a post the other day by a trader in the Forex Steam comment section, and he was telling everyone that he’s set Steam to trade only during the Asian session because he feels the robot is unstoppable at this time of day. I never even thought about doing something like this before until I read the comment, and so I took one of my Forex Steam licenses and I haven’t had a loss on that account since. This happens to me all the time. Sometimes I contribute my own ideas, and other times I just cherry pick the ideas that are being put forth by the Forex Robot Nation community. Nobody cares, and everybody shares. One of the great elements about Forex robot trading, is that it allows us to be mad scientists. The systems that I use, that I mentioned above allow you to customize and take advantage of their flexibility. So many traders purchase a Forex robot and want immediate results. That’s great, so do I. Yet, that doesn’t mean we should stop wanting more and searching for new ways to achieve more. I run trading accounts for Forex Fury and Forex Steam on default settings and I always will. That does not stop me from running other accounts testing different settings and then posting about my successes to the Forex Robot Nation community. Sometimes I take these settings from comments that I’ve read and other times all just lower or increase the take profit or stoploss based on what I’ve recently seen in the market. Sometimes I’ll start using the hedge funds and, and other times I’ll test the trailing stop feature but the main thing I want to do know is that I never stop. If the default settings are going well for a couple of weeks it doesn’t even matter because I have so many different accounts running with different settings and they are all running at a very high level. The great thing about the Forex market is that you can start trading in under an hour on a demo account. There’s no excuse to keep anyone out of the market. If you purchase a Forex robot, you can have everything downloaded and set up within minutes. You don’t even have to risk your capital. One of the really cool things about Forex Robot Nation is that they’ve already done the work for you and have tested robots for years to get to this point. 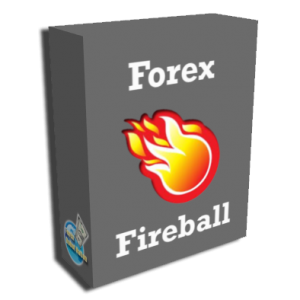 They even offer a free Forex robot (Forex Fireball) available in the members section of the website, so you can do everything for free just to get a feel for it before signing up with a proven and tested commercial software like Fury or Steam. Only use the free robot for testing, stick to proven systems for Live Trading. So, that’s it for me. I hope that you found this article valuable and that you are motivated to push forward and start trading today. Hi there! I have been a member for a long time. But had stopped trading and contributing for sometime. Its just good to be back. Have a great day! What a transparent and simple in style review. I am humbled. Warming up to purchase Forex Fury first and Steam later. Thanks Paulson, I’m glad this could be of help to you. Hello I’m thinking about purchasing but I don’t know which Operation System this software supports. Is it compatible on macOS or only Windows? if so, which version of Window and/or macOS ?? Hi Richard, you can run on both Windows and macOS. If you run into any issues after ordering, just email support and they will resolve them quickly. Been using this EA for 6 weeks now. 1st week for me was rough, very rough..had 2 losses due to different broker and spikes. Made adjustments to settings and now its been all wins. Back to making profts again now and being in the black is an awesome, great feeling!! I’ve spent many thousands testing EAs over the years and lost many more thousands trading on my own. This EA works very well with some fine tuning according to which broker you use. Hoping to buy a 2nd license for additional accounts this week or next. 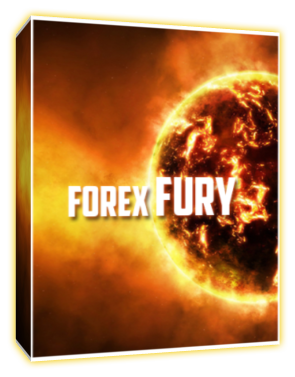 Thank you Forex Fury for an amazing EA! Hi Dana, I’m glad to hear that Fury is trading well for you. Just signed up with Fury on Monday, already 15 wins!